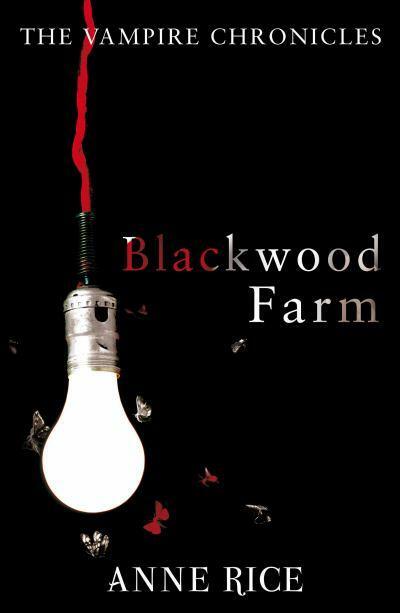 "Blackwood Farm, with its grand Southern mansion set among dark cypress swamps of Louisiana, harbors terrible blood-stained secrets and family ghosts. Heir to them all is Quinn Blackwood, young, rash, and beautiful; himself a 'bloodhunter' whom the Vampire Lestat takes under his wing. But Quinn is in thrall not only to the past and his own appetites but, even more dangerously, to a companion spirit, a goblin who could destroy him and others. Only the unearthly power of Lestat combined with the earthly powers of the Mayfair clan could hope to save Quinn from himself and his ghosts, or to rescue the doomed girl Quinn loves from her own mortality." Although I was on the fence about a couple aspects of this book (which I'll talk about later), it was a very lovely read overall, and I really enjoyed it. BLACKWOOD FARM *SQUEAL*. I want to live there now. Sugar Devil Swamp was also gorgeously described - I don't think I'd want to live there by any means, but it was described beautifully and I'd love to boat around in it for a few hours. I thought the majority of this book would be about Lestat, Merrick, and Quinn trying to find a way to dispose of Goblin (Quinn's companion spirit), but 90% or more of the book was just Quinn recounting his life story. Usually, I don't like that sort of book, but Anne Rice has always been able to do it fabulously and Blackwood Farm was no exception. 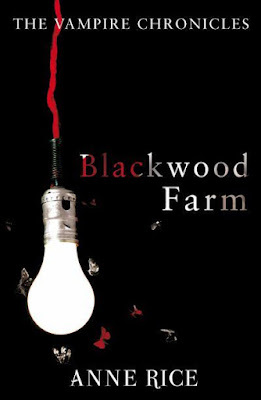 Quinn is such a lovable character, and so are pretty much all the other inhabitants of Blackwood Farm, so I enjoyed reading his narrative of the various mishaps and adventures he's had so far in his life. The only character I'm on the fence about is Petronia. She's the first intersex character I've ever read or heard of in any fiction, and I'm not quite sure what to think of her. She turned out to be the antagonist, the character nobody liked, but that was mostly because of the crap she went through when she was young because she was intersex. Idk - I'm glad Rice highlighted the discrimination facing intersex people and showed this isn't a "modern" issue by any means, but overall idk about Petronia. I've never read about or seen an intersex person/character. I had to google it to find out it refers to hermaphrodites- something I did study about in med school. Tbh, a lot of minorities are not written in books. There's very few YA out there that are written in a setting apart from US/Europe. I've not come across any book centered in Africa or Asia, conveying cultures and people properly, so I'd really like to see books like that. Like another thing that kind of gets me is that the origin of vampires came from Count Dracula and Dracula was a real historical character who lead an army against the Muslims of that time and the Muslims managed to defeat him (whether he killed himself or got killed, I don't remember). Now I've not come across any YA or super natural book about vampires involving the eastern side of Dracula? It's always just rich sparkly humans turned vampires. So yes, I'd like to see more PROPER representation. If people will write about a culture/people/area with no idea about it and make stuff up, I'd rather they didn't write "minorities" in at all. ^that was a very scattered thing, I don't know if you got what I was trying to say xD I just realized Africa and Asia aren't exactly minority, in the sense that I want there to be other settings and other backgrounds, not just the characters. I got what you said exactly! Ooh, an Eastern side of Dracula novel would be spectacular. And I also LOVE the idea of YA books taking place in Africa, Asia, or South America - I'd like to see some that would properly integrate the cultures of those areas into the storyline. Sounds good, I love vampires.